Most of us have either watched a movie or read a book set in the Medieval Period which includes a scene where the action runs something like this; Someone who has been accused (usually unjustly, particularly if he/she is Our Hero) is pursued by a (usually evil) group of people intent on bringing him/her to justice (we usually can hear baying hounds in the background). Our Hero, almost by accident, finds him/herself at the door of a church or chapel where, after pounding on the door until the pursuers are visible in the background (sometimes as arrows strike into the door), he/she is granted admittance. Collapsing to the floor in a paroxysm of exhaustion, Our Hero asks for, and is granted, sanctuary. The concept of sanctuary existed during the Middle Ages; this post is not a myth-buster. However, as with most aspects of the Middle Ages, the reality was more complicated than what most of us (myself anyway) have been exposed to through popular media. My rather ignorant notion of sanctuary had been that any Holy Place would serve. Once the accused/pursued was granted entrance, he or she could hang out there, basically forever. He or she might be asked to work to help pay his or her way, but that sanctuary could, theoretically (if the pursuers were honorable which, of course, in these books and movies they were not) last forever. I’ll admit to being a bit fuzzy on what a “Holy Place” actually meant. Jordan’s essay provides a fair amount of additional information related to sanctuary. The first and most significant aspect is that the concept of sanctuary in the Middle Ages was far from universal. Jordan states that it may have only officially been recognized in England and Northern France. He says that while the Iberian peninsula provides evidence indicating that it may have been in effect there, little evidence exists for it in Italy, Central Europe, or Scandinavia. 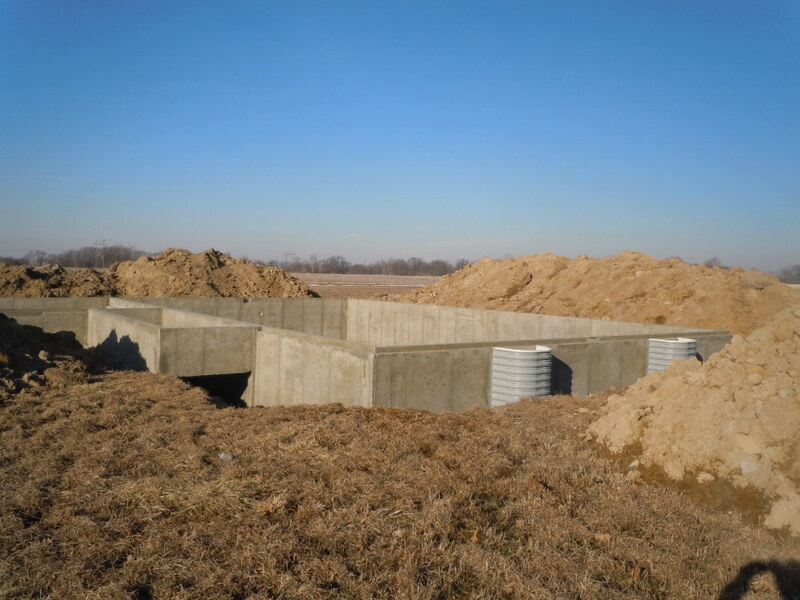 (19-20) While the concept of sanctuary appears to have been around for a long time, it only became widely practiced in the 13th century, when laws recognizing and regulating sanctuary were written. What was recognized as a place of sanctuary and who was eligible? I found the answers to these two questions the most interesting parts of the essay. Turning to location, not every church was eligible to be considered sanctuary. Fortified churches were often not considered sanctuaries, probably as they couldn’t be considered a place where blood was never spilled. Private chapels and oratories didn’t qualify; a criminal could not flee to a chapel on an estate. (20-21) A few locations were chartered as sanctuaries where an institution had been granted special privileges, however Jordan did not mention any specifics about what these privileges might be. 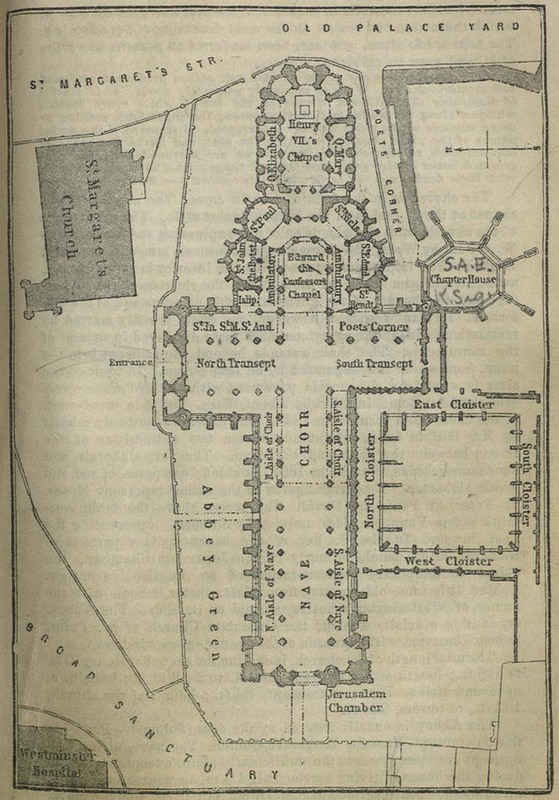 1894 plan of Westminster Abbey, a chartered sanctuary. Note the area labeled “Broad Sanctuary” in the lower left (I am clueless as to what that means). Things didn’t end once sanctuary was granted. In Britain, clergy were expected to inform officials that someone had taken sanctuary. The claimant had to confess their crimes before magistrates as well as participate in the sacrament of confession within the church. The term of sanctuary was not endless. If the individual was found to be deserving of sanctuary, he or she would take an oath agreeing to leave the kingdom and would be allowed to travel to a seaport to depart; in England this was usually from Dover. (25) If they did not leave they would become outlaws and would also forfeit the right to receive sanctuary a second time. There’s more to this but I’m not going to re-create the entire essay. One of the most interesting things to me is that this is another sign of the systematization of the legal system which took place in England during the 12th and 13th centuries. If it was a part of custom or a generally recognized practice, folks started to write down and codify things. Sanctuary evolved from something of an informal practice governed by custom, to one written into and both protected and limited by law. 1 Jordan, William Chester, “A Fresh Look at Medieval Sanctuary,” pp. 17-32 in Karras, Ruth Mazo; Kaye, Joel and; Matter, E. Ann, eds., Law and the Illicit in Medieval Europe. Philadelphia: University of Pennsylvania Press (2008). ISBN: 978-0-8122-4080-1. 2 I think it’s important to note that in the 13th century punitive imprisonment for the most part did not exist. This meant that more crimes were punishable by death but it also meant that those denied sanctuary would not face a long stretch in jail but rather fines or some type of forced servitude. 3 I read – somewhere – that Jews might be given the choice of converting and being granted sanctuary as a newly baptized Christian rather than being handed over. It’s been a long time since I read it and I’m not going to look for it in my books. I don’t recall what time period this was for or where but the same sort of condition accompanied expulsion from kingdoms at times so this would be consistent. I suppose this isn’t technically forced conversion.